As far as doctors are concerned, Victor Frankenstein probably wouldn’t be your first choice for a weekly checkup. As an addition to your Penny Dreadful collection, however, this Penny Dreadful Frankenstein 6-Inch Action Figure – Convention Exclusive Frankenstein 6-inch action figure from Bif Bang Pow! will provide the prescription for what ails you. The finely detailed figure features the “not so mad-scientist” wearing slacks and a long sleeve blue shirt which is visible through his black sleeveless vest. In fact, Dr. Frankenstein is so detailed you can even see the sleepless red rings around his eyes! 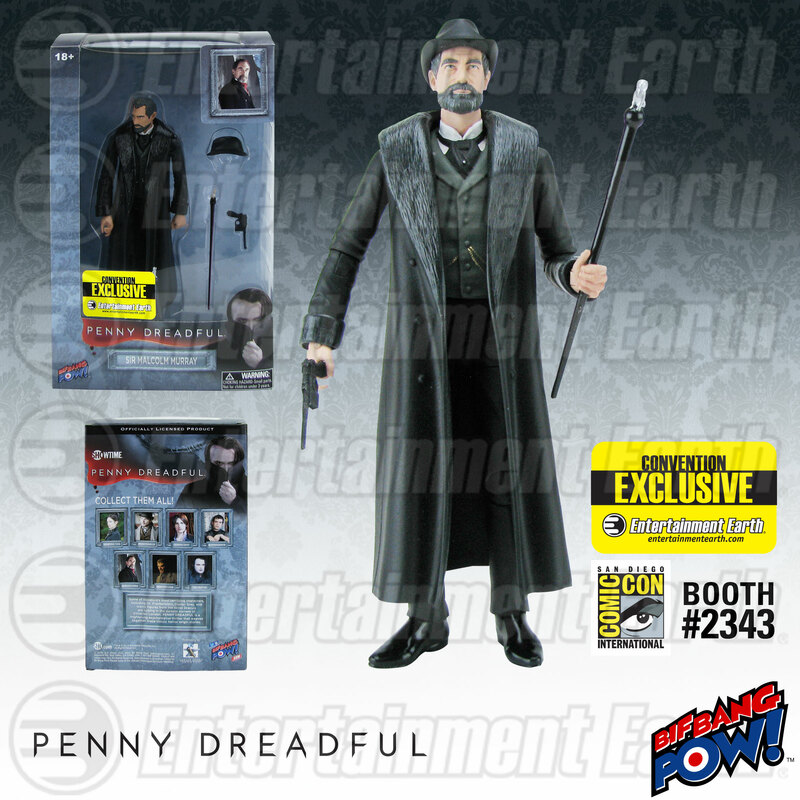 This first ever 6-inch figure of the popular Penny Dreadful character features a whopping 18 points of articulation and includes the young doctor’s infamous sketchbook and surgical scissors as accessories. With a production run of only 2,800 pieces, collectors will want to grab this individually numbered and limited edition Entertainment Earth convention exclusive before it’s gone forever! Not attending San Diego Comic-Con 2015? 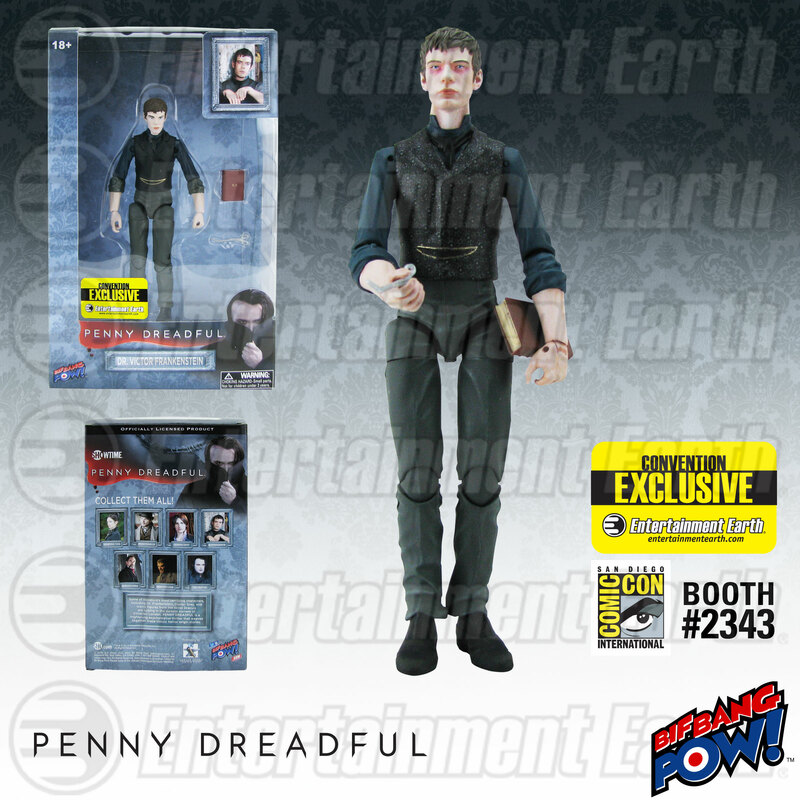 *PRE-ORDER your Penny Dreadful Frankenstein 6-Inch Action Figure – Convention Exclusive at Entertainment Earth now! “It’s alive! It’s alive! (Well, not really, but it’s still fun to play with!) Why spend countless hours trying to piece together a creature from spare parts when you can have Dr. Frankenstein’s creation without all the mess? Thanks to Bif Bang Pow! you can now own the doctor’s first born with the Penny Dreadful The Creature 6-Inch Action Figure – Convention Exclusive. 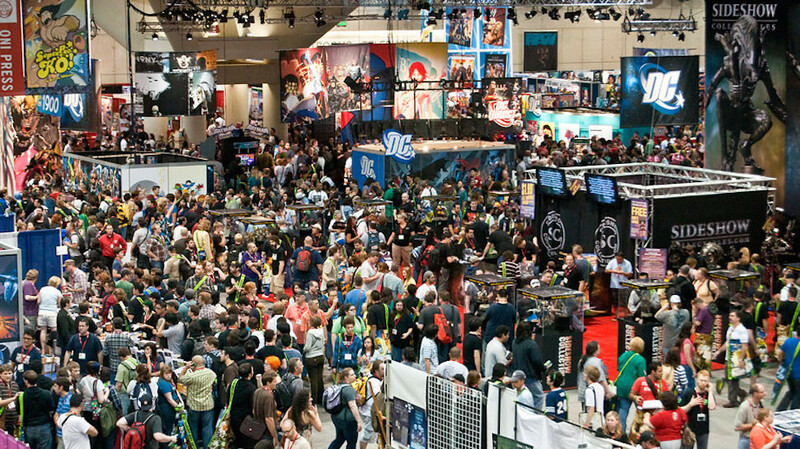 Not attending San Diego Comic-Con 2015? 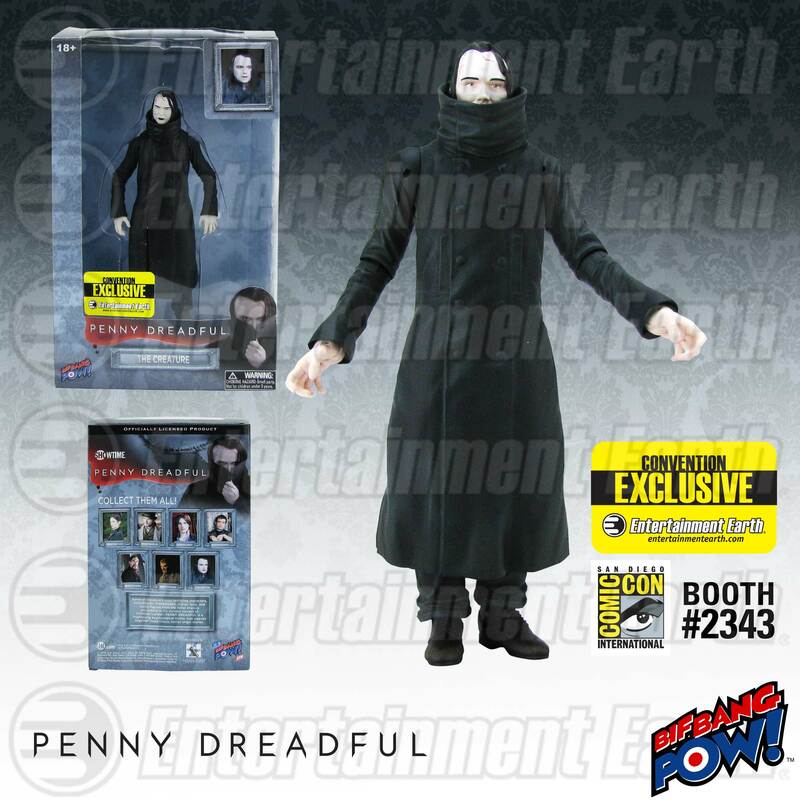 *PRE-ORDER your Penny Dreadful The Creature 6-Inch Action Figure – Convention Exclusive at Entertainment Earth now! Other Entertainment Earth exclusives include a Saturday Night Live Weekend Update Tina Fey & Amy Poehler 3 1/2-Inch Action Figures Set of 2, Adventure Time Traveling Jake Tin Tote Gift Set – Convention Exclusive, Batman Classic Chair Cape – Convention Exclusive, and more. Over 25 Entertainment Earth convention exclusives will be announced ahead of San Diego Comic-Con. Visit Entertainment Earth and all our social media networks for the latest Entertainment Earth and San Diego Comic-Con news.